All terrain vehicle (ATV) tyres are made for ATVs and four-wheeled motorcycles also called “four-wheelers” or “quads.” ATV tyres are large, chunky, wide-profile tyres designed to perform well in a variety of commonly encountered off-road conditions. Good quad tyres can make all the difference between sure-footed traction and complete loss of grip when tackling muddy hillsides and water-logged gaps on farms. A good set of tyres can help put more power from the engine to the ground, provide a more balanced stance digging into muddy, swampy ground conditions and keep you moving where other vehicles would fear to tread. There are ATV tyres for every type of terrain. ATV tyres suitable for road use are identified by their "E-mark", meaning they are road legal and tread patterns are specifically designed for working on tarmac. ATV tyres designed for specific conditions, such as mud, sand or sports will perform better in those conditions than general-purpose tyres. In recent years the use of quads on farms in particular has grown significantly. 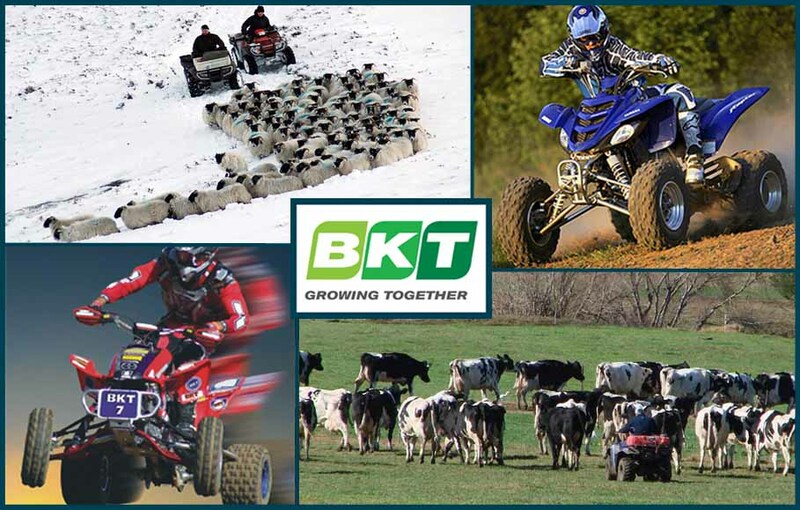 At Agrigear, the BKT range of ATV tyres caters for all terrains and purposes from recreational farm work to professional racing tyres, with sizes ranging from 6” to 12” in rim width. 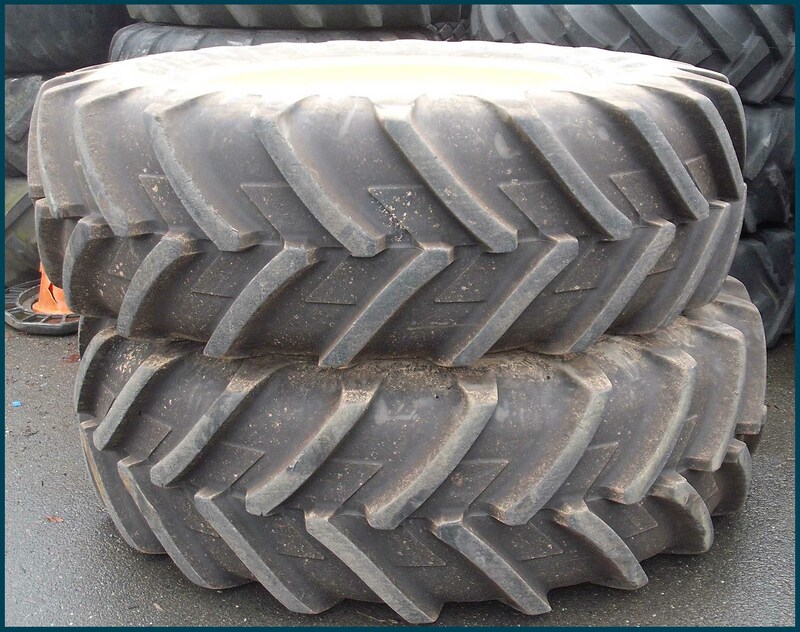 Browse ATV tyres here on Agrigear's website www.agrigear.ie. - Heavy-duty tyre built with a 6ply rating; heavier ply together with reinforced casing makes this one of the most puncture resistant tyres in the market today; the W-207 is world renowned as an excellent trouble-free tyre with a long life. - Aggressive large shoulder knobs wrap down the sidewall providing excellent side bite to pull out of the ruts without creating sidewall failures. - Deep tread and open Wing design provides excellent clean-out with each lug featuring dimpled tread elements and special natural rubber compounds that offer excellent traction in any condition. 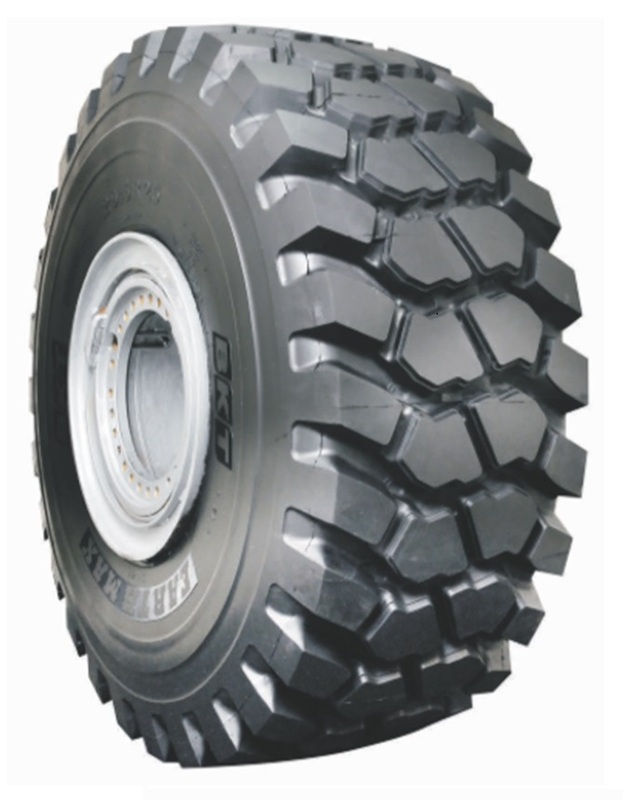 The EARTHMAX SR41 tyre is an OTR (off-the-road) radial tyre from BKT. The EARTHMAX SR41 tyre is available in a few select sizes including 26.5R25 and 29.5R25 both with a 2star rating. Travelling at a speed of 50km/h, the 26.5R25 EARTHMAX SR41 tyre can carry a load 11.5 tonne per tyre, whilst the 29.5R25 tyre can carry a load of 14 tonne per tyre. 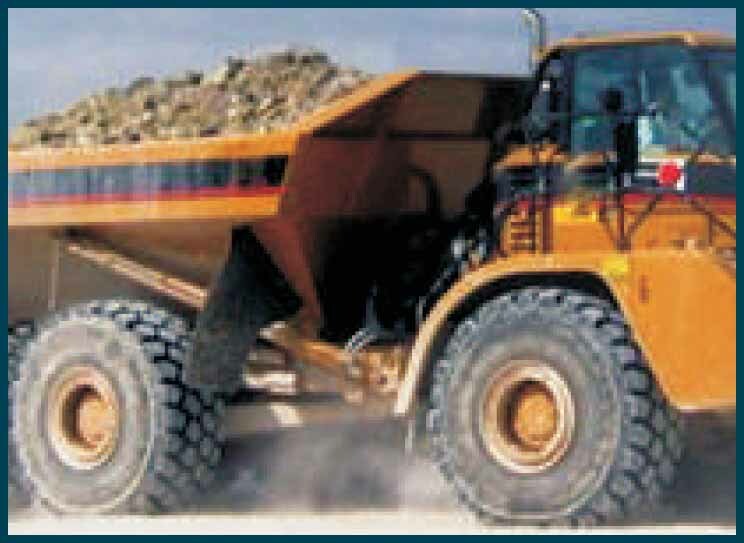 The EARTHMAX SR41 (E-4) tyre is a cut-resistant all-steel radial tyre specially suitable for articulated dump trucks. This tyre is an upgrade of the EARTHMAX SR40 (E-4) tyre with an improved tread pattern featuring strong tie-bars that offer superior sturdiness of the block grips. The all-steel casing and strong steel belt provide excellent stability along with very high resistance to snags and punctures. The additional step on the lug edges of the EARTHMAX SR41 tyre offers extra traction while the high tread depth provides extra mileage. 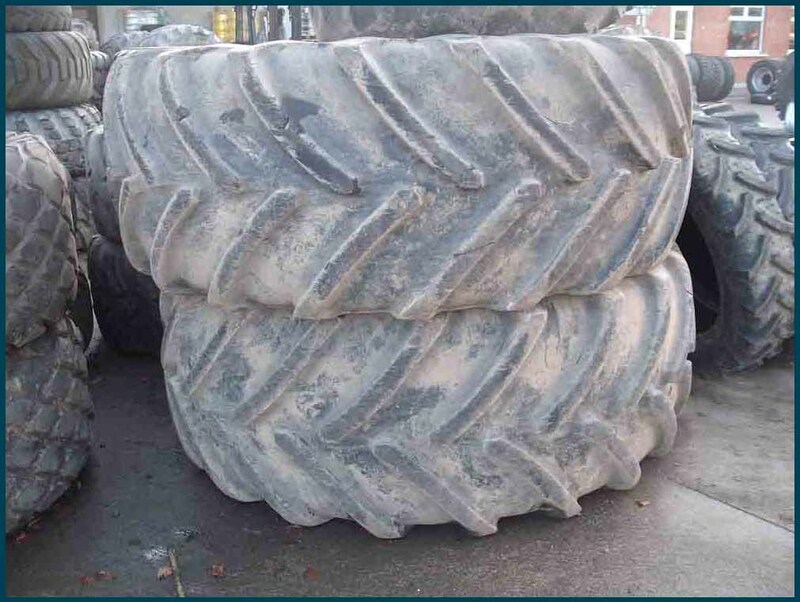 Technical information about EARTHMAX SR41 range of earthmover tyres from BKT is available on the Agrigear website www.agrigear.ie. 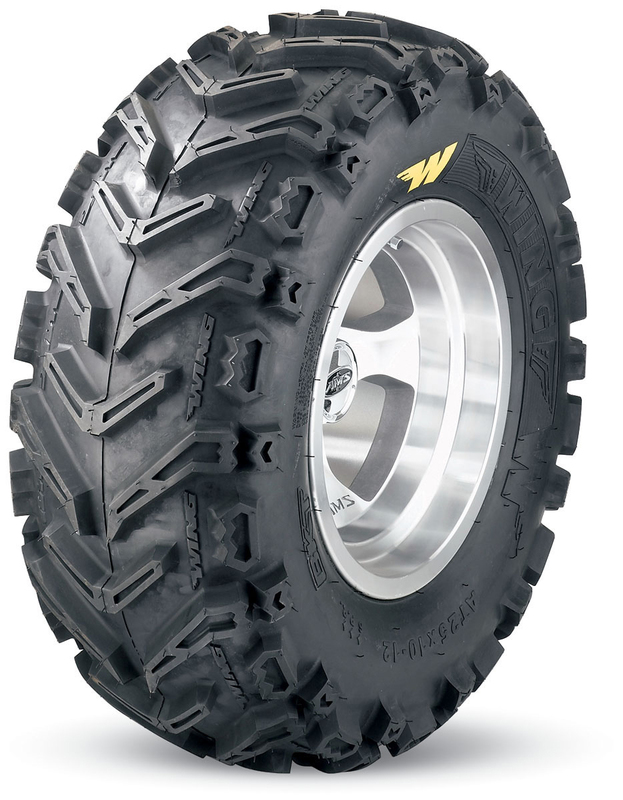 For EARTHMAX SR41 26.5R25, click here. For EARTHMAX SR41 29.5R25, click here. With the press of a button, the driver can bring out the studs to improve the grip of the tyre. When the studs are not needed, they can be retracted back into the tyre. The world's first non-studded winter tyre with studs. With a press of a button, the driver can bring out the studs to improve the grip of the tyre. The idea of the combined non-studded and studded tyre is that the driver can make the switch when the conditions clearly change. Studs are not used on dry roads and stable winter conditions, but they can be activated in icy weather for extreme safety. Click here to read more information about this innovative tyre design from Nokian. Click here to view You Tube clip. 20.8X38 second-hand 8 stud wheels complete X 2 with Michelin tyres 90%.